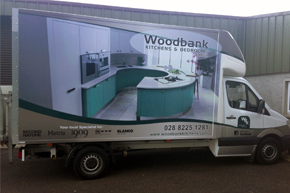 Woodbank Kitchens located in Omagh, Co Tyrone, Northern Ireland, has been established since 1994 by the Fergal Mc Gurgan. We are a family run business that offers luxurious bespoke quality kitchens, bedroom furniture and bathroom furniture manufactured in our adjacent factory. We offer a one to one customer service always meeting the customers’ needs. We only use superior quality branded materials in the manufacturing of our furniture ensuring they will outlive the life expectancy. We are approved stockists of kitchens sink and taps by Blanco, Appliances by Neff, Electrolux, Zanussi and range cookers by Rangemaster to name but a few. 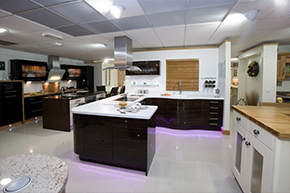 Visiting our showroom is highly recommended to view our complete range of kitchens, accessories and appliances all connected to electrical supply so customers can appreciate the many operating functions. Our office hours are Monday to Friday 8.30am to 5.30pm. All visits to the showroom are by appointment only and outside normal office hours appointments are available, to accommodate the customer working normal office hours. Contact us to book an appointment. 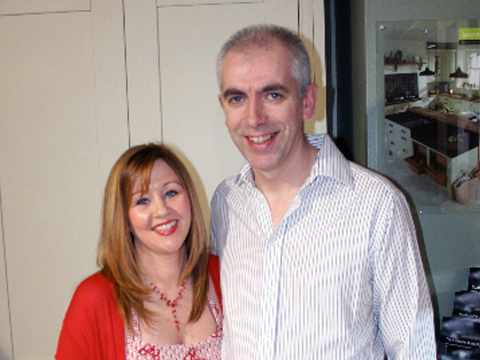 Our showroom is located next to our factory in a rural area approx 2½ mile from the centre of Omagh Town, Co. Tyrone. The floor space covers an area of 1250 Square foot and was purpose built in the year 2000. In November 2009 after 5 months of planning and designing, we completely refurbished the whole area, and by February 2010 the project had been completed and we proudly re-opened. The Showroom boasts 12 beautiful full-size kitchen displays, two bedrooms and a slide robe. The luxuriously designed displays, and the superior quality materials used, for example Corian, Silestone and timber worktops, Kessebohmer pull out systems and blum drawer systems, to name but a few, are displayed to show the benefits to potential customers. We have displayed some of the world’s best-manufactured energy efficient branded appliances, such a Neff, Gutman, Steel and Liebherr these are displayed in full size kitchens. Of course, the customers favourite has proven to be the coffee machine, as they sip on their lattes and cappuccinos when browsing, or sitting down discussing their enquiries. There are also many smaller items, such as spice trays, plate holders, weighing scales, island power points, utensils holders and vegetable baskets. We also have solutions for food separation, like eco friendly waste organisers, and an operational waste disposal unit, which are displayed throughout the showroom.